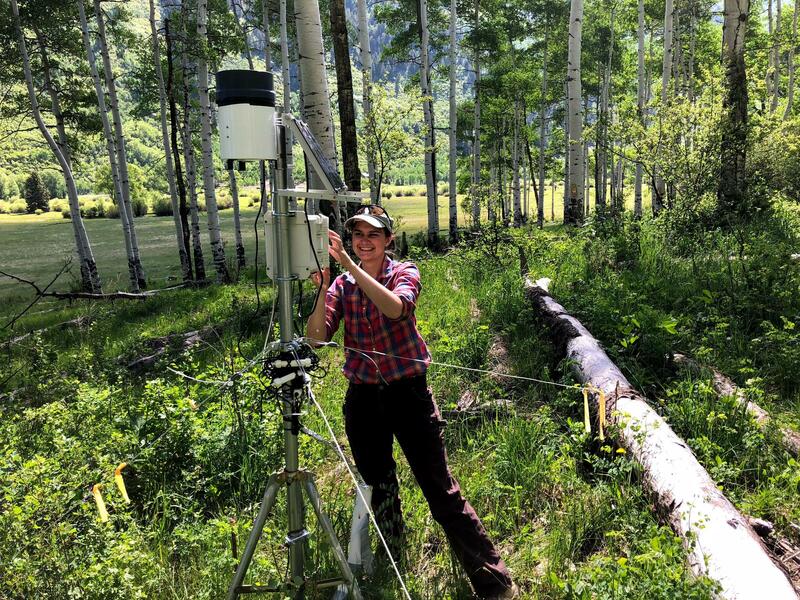 Elise Osenga from Aspen Global Change Institute checks a station that monitors climate conditions, including soil moisture, at Northstar Nature Preserve. 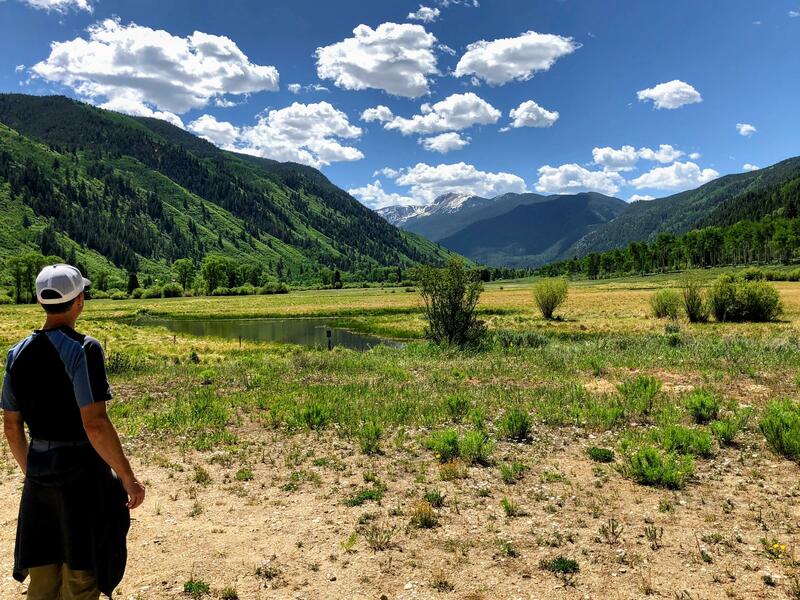 AGCI is working with Pitkin County Open Space and Trails to monitor habitat conditions on public lands. Northstar Nature Preserve is a wide expanse of meadows and wetlands split by a lazy river, set against a backdrop of high peaks. It looks untouched and wild and it’s teeming with life. Jonathan Lowsky, a wildlife ecologist with Colorado Wildlife Science, pointed out the aquatic birds that use the preserve: Spotted sandpiper, great blue heron, pied-billed grebes, American coots, ducks and many more. He’s been monitoring wildlife in Pitkin County since 2000, and there are more species here now than he’s seen before, including river dwellers like mink, beavers and land mammals of all kinds. “Ranging from western jumping mice and deer mice up to moose, mountain lions,” he said. This abundance of life wasn’t always here. There’s been heavy human use of these lands for decades. Open Space and Trails director Gary Tennenbaum explained that before the county bought it in the 1970s, it was a ranch. Pitkin County Open Space and Trails director Gary Tennenbaum watches for birds in Northstar Nature Preserve. "The river was straightened," Tennenbaum said. "It used to meander through Northstar." This created more space for grazing — and really changed the ecosystem. The previous owner, James H. Smith, planted non-native grasses that have taken over much of the meadow. He cut drainage ditches that are still there, pulling water out of the wetlands much faster than it would naturally flow back to the river. Tennenbaum said this kind of manipulation isn’t unique to Northstar. "Most of the properties that we manage have had some significant amount human use in the past, and that has changed the ecology and changed the vegetation patterns," he said. Tennenbaum is tasked with protecting the native plants and animals, but it’s not always as simple as putting things back the way they were. For example, those ditches are now important habitat for birds. Plus, things are getting more complicated in a warming world. "That's the biggest challenge for us, is trying to recreate what was here, but also make sure that it can also exist still," Tennenbaum said. So Tennenbaum and others are working to get a handle on what conditions could look like in the future and are taking climate change into account. To better understand how warmer temperatures and other shifts in climate might impact ecosystems, the county has partnered with the Aspen Global Change Institute (AGCI). 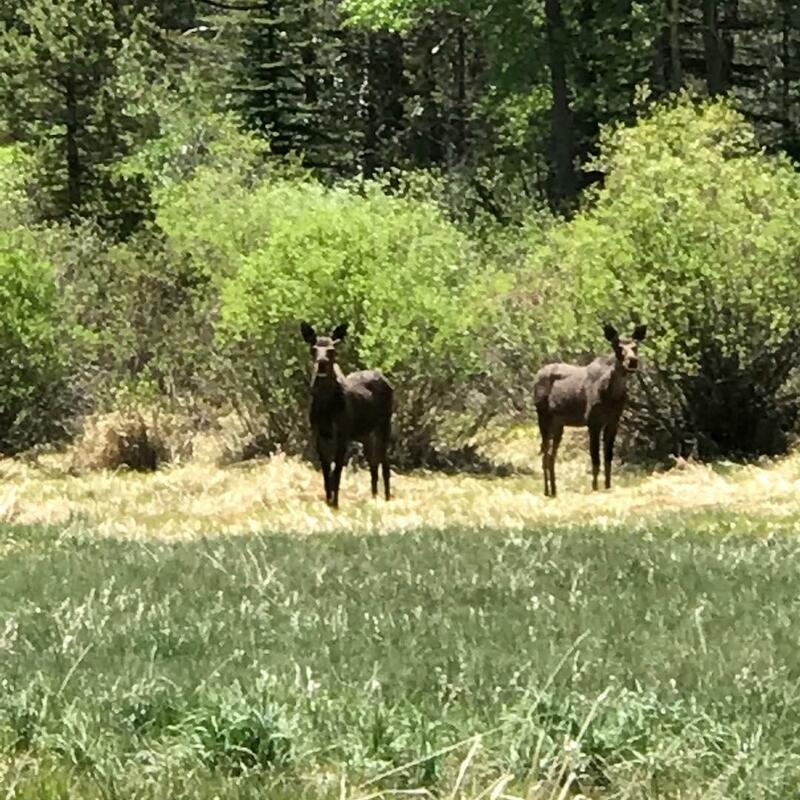 A pair of moose graze in part of Northstar Nature Preserve earlier this summer. “Patterns we used to see in the past might not happen the same way they used to,” said Elise Osenga, research coordinator for AGCI. To document those patterns, AGCI has nine stations, including seven on Pitkin County Open Space lands. One climate condition they measure is soil moisture. This helps determine fire and landslide risk, is important in understanding water supply, and identifies what plants can grow where. If soil moisture changes significantly over time, it can alter the entire ecosystem. "That definitely could change what plants survive there, which would, in turn, change what animals survive there," Osenga said. Open Space and Trails and others are particularly interested in learning more about aspen trees. Osenga explained that after a recent extended drought in southwest Colorado, groves of aspens died. Scientists aren’t sure why. It could be that those were aging trees that were on their way out and the drought didn’t help. 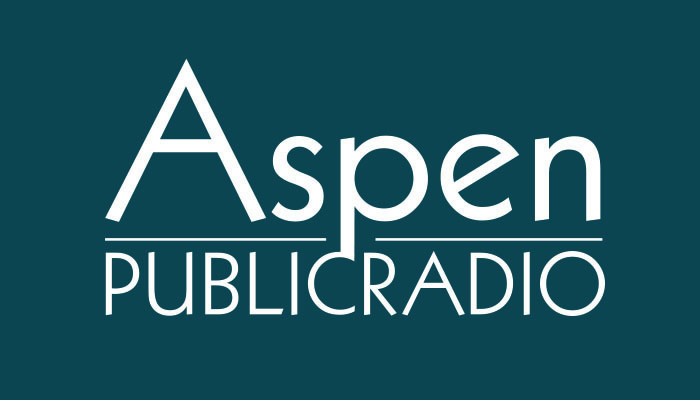 “But another thought is that aspens are not particularly well-adapted to deal with drought,” Osenga said. If that’s the case, Tennenbaum and other land managers want to know so they can plan ahead. The data from AGCI helps identify environmental trends without relying on assumptions. It could help prepare us for a future where the iconic trees lose their habitat because of changing climate conditions. Alternately, Osenga said, “They might find alright, it seems like conditions are really good, so if we're seeing this species struggling, maybe there is a restoration effort we could do that could really help." Tennenbaum is dealing with this issue at Northstar now, with a different species. This spot is home to a rare high-elevation breeding site for great blue herons, and that population is dwindling. Over time, the data will show why — if its a natural predator or human interference. It’s Tennenbaum’s job to connect the dots, keeping in mind that there are factors that can’t be controlled with a management plan. "The key is to respect the preserve as a whole," he said. "To do that, you want to listen to nature, you don't want to talk to nature." That data could set Open Space properties on the best course for the future. Pitkin County Open Space and Trails is making it official: protecting biodiversity is more important than recreation. A new policy focuses on preserving natural habitats, even if that means keeping some areas closed to humans. 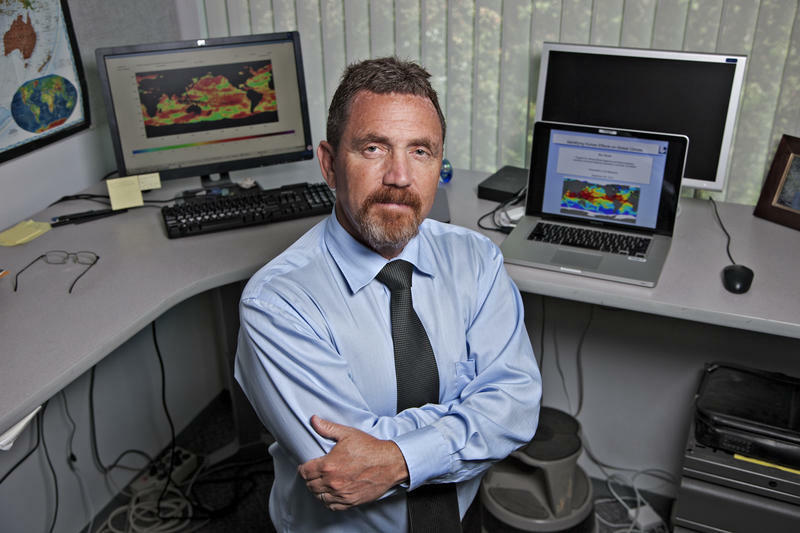 Over twenty years ago, Dr. Ben Santer was part of the team of international scientists who first published work showing climate change can be attributed to human influence. He discussed his work with Elizabeth Stewart-Severy.